Hey, pet lovers — we get it. Picking the right pet food can be overwhelming, especially since there are so many different options out there. It can be difficult to determine which food is right for your dog or cat that also fits your budget; how can you know which is the right food to choose? For most pet owners, the biggest question is whether to feed your pet premium or commercial foods found in supermarkets. While it can be tempting to grab that bag of supermarket cat or dog chow on your next shopping trip, here are 5 reasons why you should feed top quality, premium food to your furry friend instead. Premium foods use higher quality protein sources such as meats and poultry products, instead of wheat, gluten, soy or bone meal. It’s true that some ingredients are better for our pets than others; their bodies won’t have to work as hard to digest a higher quality diet to extract the nutrients they need, so that they will thrive (instead of merely survive) on the excellent nutrition a premium diet provides for them. Also, food that is more easily digested helps your pet have smaller, firmer stool, making clean up less time-consuming for you. Look for at least 2 animal proteins at the beginning of the list. Animal proteins such as chicken, beef, salmon, and eggs are preferable to plant-based proteins, especially for canines. It is much easier for dogs to digest animal proteins and they receive the amino acid profiles their bodies need. Clearly named whole meats and meals. A premium food will have these ingredients listed upfront, such as “whole chicken” or “chicken meal.” These meats have been rendered and dried which means most of the fats and moisture have been removed. Some premium foods will use a mixture of whole meats and meals so that enough meat protein from the named source. Established proteins and fats. Like humans, your pets need some protein fats in their diet for their bodies to function correctly. Look for chicken fat or another specifically labeled protein fat. Check for added taurine. Taurine is a basic amino acid that is crucial to the physical wellbeing of cats and certain breeds of dogs, such as retrievers and spaniels. Without taurine, dogs with insufficient levels may suffer from heart disease and diabetes. Cats are unable to synthesize taurine in their bodies, so they need adequate amounts in their diets. Not all premium pet foods are created equal, and some are higher quality than others. Consider choosing a premium pet food from a company that offers a contact number so you can inquire about the food’s ingredients and ensure the food has been adequately developed and tested on dogs and cats. 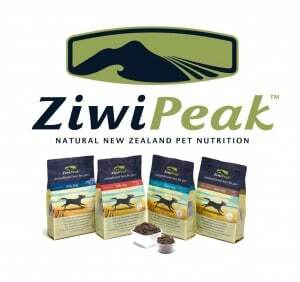 Ziwipeak – A top-shelf premium pet food, Ziwipeak has an incredible minimum of 93% meat and fish proteins, including lean meats like venison as well as Hoki fish and green-lipped mussels that provide critical omega fatty acids. 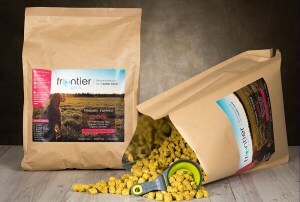 Frontier Pets This is another impressive offering of freeze-dried foods, including free range grass-fed beef as a main protein. Frontier Pets has roughly 44% protein and 32% fat content, ideal for canine health. Ivory Coast Australian Natural Health The pet food from this company is grain-free with an average of 32% protein, although some of that is vegetable-protein from peas rather than meat. It’s a step down from the high-end premium dog foods, but still a better choice than supermarket brands. Budget is always a significant concern for a pet owner. Often you pay more for higher quality products, and premium diets are no exception. Although premium pet food is more expensive to purchase up front, your pet is unlikely to eat as much of the higher quality pet foods because the nutritional value per kibble is much denser than with a low-quality brand. In fact, the daily cost of feeding a premium pet food versus a lower quality supermarket brand is often significantly lower, saving you money over time. Where a pet owner will truly save money in the long term is in veterinary bills and prescribed medications. Feeding your dog or cat a low-grade commercial food is a virtual guarantee for the development of medical conditions and illnesses in the future and for the expensive office visits and medicines that will soon follow. When fed an appropriate, balanced diet, cats and dogs feel better, have more energy, and have a shinier, softer coat. Premium pet foods often contain the correct protein-fat-carbohydrate ranges that give your pets what their bodies need with no fillers or unnecessary mystery ingredients. The result is a happier, healthier pet on the outside and the inside. These values will change for a pet who is younger, older, or suffering from illness. Your veterinarian can help you determine the exact percentages for your pet. The addition of essential fatty acids such as omega-3 and omega-6 in premium pet food means healthy, hydrated skin and a bright, beautiful coat. Even better, these fatty acids can reduce blood pressure, inflammation that causes arthritis, and assist pets who are struggling with kidney or heart diseases. Choosing a better food for your pet will keep him safe both now and in the future. Unlike lower-quality brands, premium pet foods don’t contain additional colors, flavors, or preservatives; instead, they focus on providing essential nutrients for your dog or cat. Premium companies also tend to use ingredients, such as nutraceuticals, antioxidants, and bio-available fatty acids. These additives provide extra support to your pet’s immune system, joint function, and gastrointestinal tract which can help prevent or decrease the effects of digestive, skin, and allergy issues. Many high-quality food companies are careful when it comes to the safety of our furry friends and use quality control to test ingredients for contaminants. Premium pet food includes organic or human-grade ingredients to keep our cats and dogs safe from pesticides and other harmful additives that can cause cancers and other debilitating diseases. Perhaps the best advantage to feeding premium pet food is that it improves your pet’s life span, meaning you will have your best four-legged friend with you for years to come. 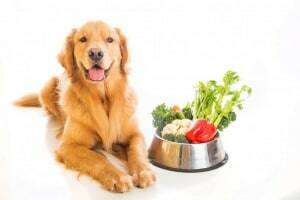 The right diet promotes overall well-being and can lead to longevity of life for your pet. Good food from the start can prevent the development of certain diseases and illnesses that may cut a pet’s life unnecessarily short. Feed your dog a nutritionally balanced diet, and he will have much better chances of living a longer, healthier, and happier life. But Wait…What’s Wrong With Supermarket Pet Food? These foods often contain wheat gluten meal and corn gluten meal. These are fillers mixed into pet food to inflate the purported levels of protein in low-quality pet foods. Meat by-products and meat digest are found in cheaper foods. If the food label doesn’t specify “human-grade” organs in the food, then those unidentified by-products are the composition of rendered leftover animal parts — meat from dead, diseased, dying, and disabled animals). These by-products are generally not fit for human consumption and are not healthy for your pets. 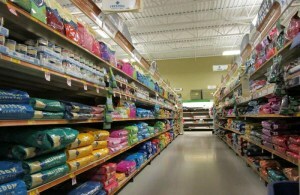 Supermarket pet foods are full of artificial preservatives. Butylated hydroxyanisole (BHA), butylated hydroxytoluene (BHT), butyl hydroquinone (TBHQ), and ethoxyquin are used to preserve pet food so it can sit on store shelves for months on end. However, your pet’s body isn’t meant to digest these artificial preservatives, and some researchers believe these elements cause cancer. Cheaper foods tend to have artificial colors and dyes. Not only are these dyes unnatural for your pet to eat, but they can promote allergies and tumor growth. Commercial foods are full of corn syrup and soy. In other words, much of the food is filled with sugar. The sweetness may make the food tastier to your pet, but the damage it does to his health is extensive. Although supermarket pet foods are less expensive, the cost your pet will pay in the long run for consuming low-quality food is not worth it. Coles Complete Balance. Although this food does feature meat as the main ingredient, it’s the lowest-grade meat available, a mixture of beef and chicken by-products. Tallow is lister here, too, which is waste fat from rendering processes. Additionally, wheat gluten and low-quality grains abound in this food. Purina Beneful. Beneful dry foods are full of wholegrain cereals; in other words, tons of wheat and corn gluten. The meat included is drawn from by-products, the vegetables are by-products, and sugar is the next main ingredient. It’s everything you shouldn’t feed your pet in one bag. Hill’s Science Diet. Although the title sounds like it is a researched food for pets, it is the exact opposite. A bag of dry kibble can include brewers rice as a main ingredient along with rice flour, corn gluten meal, and wheat gluten. It does not matter that there is some decent protein here as the other ingredients have ruined the batch. Premium foods may seem like a more significant expense for pet owners at first, but the benefits to your pet genuinely pay off in the long run: a healthier cat or dog, less waste to clean up, and lower costs for vet bills. Best of all, you will have a happy pet who will live out his years in good health at your side.